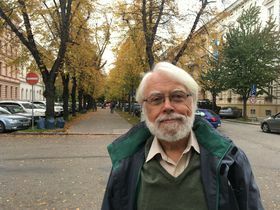 Canadian-born Don Sparling first spent time in Brno in 1969 and moved to the Moravian capital permanently eight years later. Sparling, who describes himself as a Brno patriot, taught at the city’s Masaryk University for over three decades and is known to many Czechs for the best-selling textbook English or Czenglish? Our tour of “his Brno” begins on the downtown square Moravské náměstí. 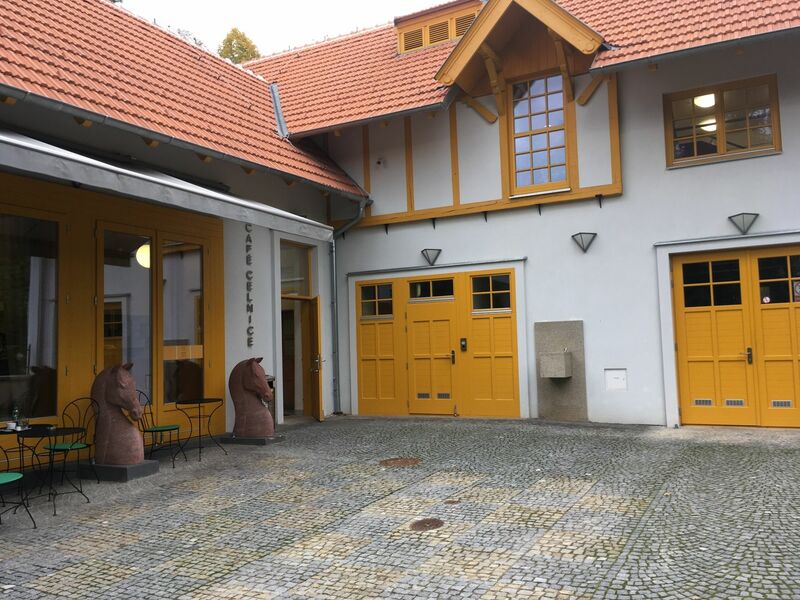 Moravské náměstí, photo: Ian Willoughby “Moravské náměstí is, I think, a very good place to talk about the fact that for the last 150 years basically Brno has been very much influenced by concepts, ideas, in its development. “This began 150 years ago, when there was a crisis all over Europe. Cities were expanding at a huge rate and so different solutions were found for this problem. “The one that was commonest here in Central Europe was building what’s called a ringstrasse. “The idea came from Vienna and the idea was that you tore down the old fortifications and in this big empty space that was made you created a circular boulevard, a ringstrasse, and along it you dotted all these buildings which represented or symbolised the fact that you were now this dynamic, progressive, liberal society. Isn’t there a big concert hall on the one here [a short distance from Moravské náměstí]? “There is. It’s later. But when they built the ringstrasse in the 19th century, what they built on it were educational institutions, the Moravian Parliament, you had the law courts, you had the theatre, you had the art gallery and so on. “So all of these great monuments to the success of the progressive, liberal bourgeoisie. “After the first world war, when Czechoslovakia was created, on the 10th anniversary of the country, they decided in Brno to have this massive fair. “This was a way to kind of mark Brno as THE progressive city in this new, dynamic, republican, democratic Czechoslovakia. “And this is happened in many cases and it’s what happened on this square here. This sculpture on Moravské náměstí symbolises justice, photo: Ian Willoughby “We’re on Moravské náměstí and seven or eight years ago this was a parking lot, basically. “The town council turned to an architect and said, Have you got any ideas? 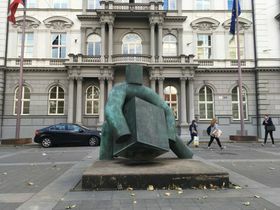 “And he came up with this slightly bizarre concept: that this square would be designed in such a way that there would be four statues, or objects, whatever you want to call them, that would symbolise the four classical virtues, as found in Plato’s philosophy. “So we now have these four objects here. Over there you can see justice, it’s the first one. “It’s actually in front of the Supreme Administrative Court. The highest judicial institutions in the country are here in Brno and the statue symbolising justice is in fact in front of a court. “Then, a little bit to the left, there’s this bas-relief monument of Brno, as it appeared in 1645. “Brno was besieged by the Swedes in 1645 during the Thirty Years’ War and managed to withstand the siege – this was a great glorious moment in Brno’s history. And that monument represents foresight. “Here there’s a long pool with water coming in and it represents even mindedness, temperance. “And then there’s this weird horse with these long legs with a medieval warrior on it. It symbolises courage. So these are the four cardinal virtues. Don Sparling on třída Kapitána Jaroše, photo: Ian Willoughby “This pool here, which symbolises temperance, was finished sometime around the middle of 2011. “A few months later Václav Havel died. And quiet spontaneously this is where the people in Brno started bringing candles. They lit candles and put them around this pool here. You mentioned Vienna and its ringstrasse. Walking around earlier, I was thinking that maybe Brno is more like Vienna than it is like Prague. Would that be a fair assessment? 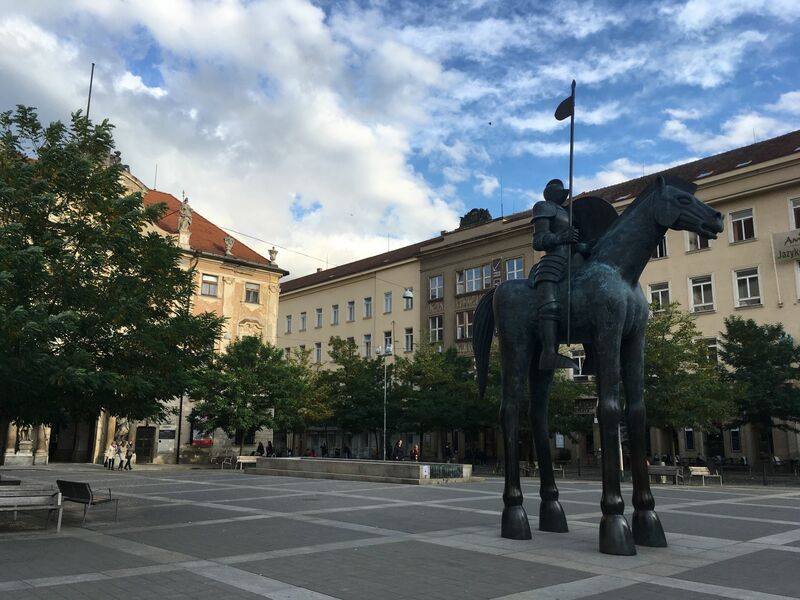 “Historically speaking, for 600 years, until well into the 19th century, or into the 20th century in fact, the metropolis for Brno was Vienna. It wasn’t Prague. “It’s much closer. It’s much easier to get to. And, of course, don’t forget that the dominant social group in the city until the end of the first world war were German-speaking. “Particularly then, in the 19th century, when all of these changes were taking place, the ringstrasse and so on, they were turning increasingly to Vienna. 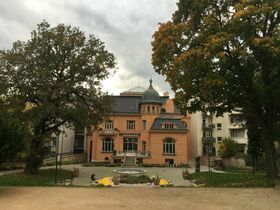 “So one of the notable things about these buildings along the ringstrasse is that several of them were designed by the leading architects of Vienna, of Austria, in the 19th century. 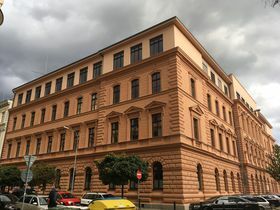 Grammar school on třída Kapitána Jaroše, photo: Ian Willoughby “The two men who designed the Vienna Opera have a building in Brno. The man who designed the great concert hall the Musikverein in Vienna designed the Czech Cultural Centre here. “The man who designed the Votivkirche and the university and so on and so on has several buildings here in Brno. 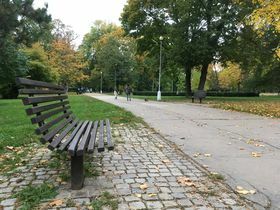 From Moravské náměstí, it’s about five minutes on foot to the leafy boulevard třída Kapitána Jaroše. 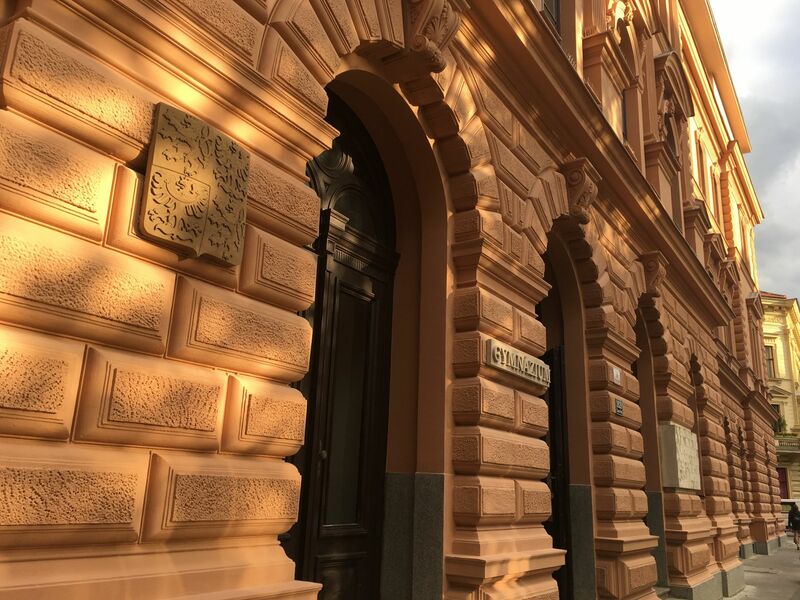 Originally named Alleestrasse, it was developed in the late 19th century as an upscale district for Brno’s emerging prosperous class, its blocs designed to resemble palaces. Halfway along the street Sparling points out a rather grand-looking structure. “What we’ve got here is the grammar school, the high school, however you want to term it. “It’s the oldest grammar school in Moravia. 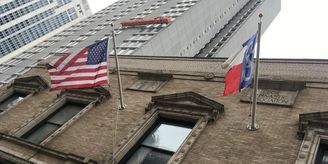 Not this building exactly – it was founded in 1867 and moved here when this district was developed. 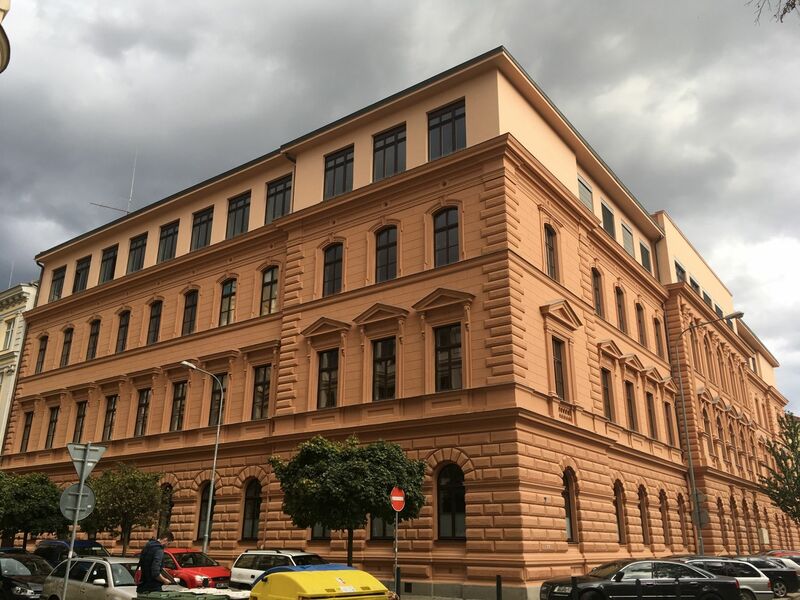 “They would say it’s the most prestigious grammar school in Brno. It’s certainly had some very distinguished graduates. 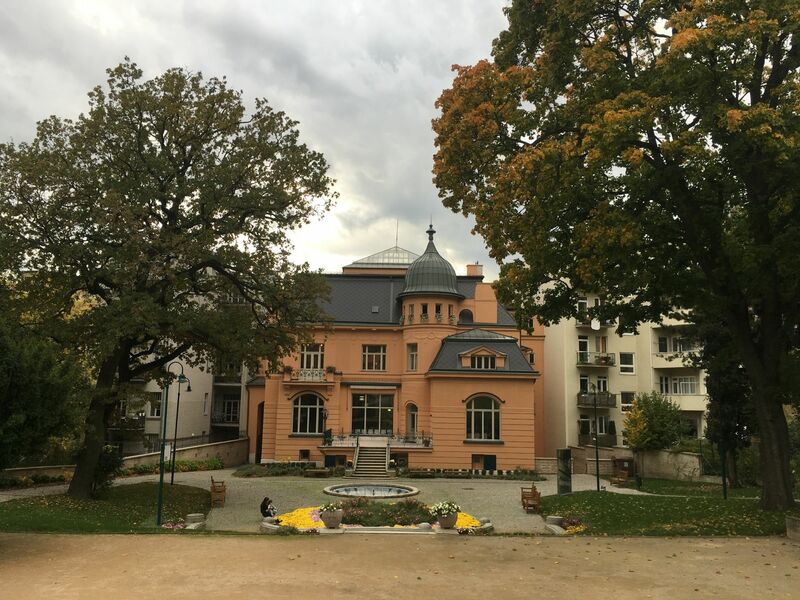 “Alphonse Mucha, the inventor or most famous exponent of Art Nouveau was here. Karel Capek was here as a young boy. 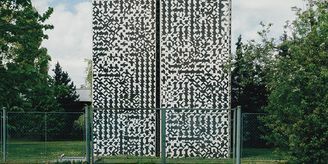 “Also a lot of people to do with Czech culture, like Ondřej Sekora. I don’t know if you know Ferda Mravenec, Ferda the Ant, the favourite kids book? He attended here. “Jaroslav Stránský, he was the founder of the Lidove noviny, which before the war was the most prestigious newspaper in the country. And Milan Kundera also studied here. As we continue strolling along třída Kapitána Jaroše, Don Sparling draws my attention to something most passers-by would probably never notice: a pair of restored balconies on the front of one building. “This whole district is filled, of course, with these magnificent buildings from the end of the 19th century, with lots of decorations, balconies and so on. “But balconies are rather vulnerable things and they tended over time, especially in the communist years, to deteriorate, and they often tended to just be replaced by steel balconies, or whatever. “On this building here the balconies are obviously new. That’s because there’s a guy in Brno who’s a balcony maker, or balcony restorer. “He tries to find some examples of balconies on one of the buildings that are still there. 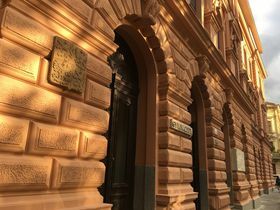 Then he makes moulds and he recreates the balconies so that once again the building has the full set, the way it was originally in 1882, or whenever. “And in this whole district you can see new balconies coming up. “What a wonderful profession to have: balcony maker. I don’t know if it was a dying craft or whether he invented the craft. “But he seems very happy. I talked to him once and he said, Yes, yes, one by one, restoring the balconies. Lužánky park, photo: Ian Willoughby At the western end of třída Kapitána Jaroše lies an oasis of green in the form of the lovely Lužánky park. 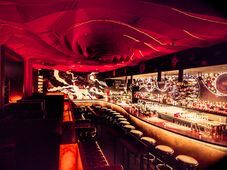 Sparling has been frequenting the biggest such facility in Brno, which is a short distance from his home, throughout his many decades in the city. 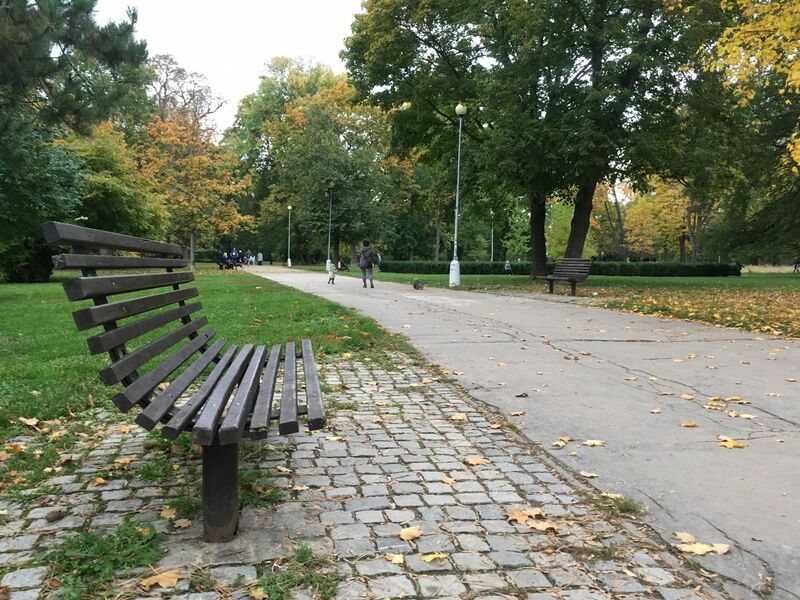 “Lužánky is the major park, right close to the centre of Brno at least, and it’s in fact the oldest public park in the Czech Republic. “It was originally an estate that belonged to the Jesuits. When the Jesuit order was suppressed it was confiscated and then Emperor Joseph II donated it to the city in 1786, I think, with the provision that it always had to be open to the public. “It went through wonderful restoration in the 19th century, by the gardener of the prince of Lichtenstein. The Lichtensteins were of course major landowners in Moravia. The family seat was in Moravia, in fact. 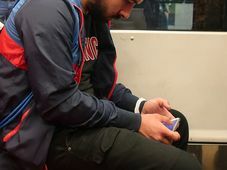 “Then it became a sort of fashionable area for citizens of Brno to come out to. “The built what they called a ‘kasino’, basically what we would now call a cultural centre or something. The military bands would be out here playing every Sunday, and so on. “Of course in the communist years, like everything else, it deteriorated very badly. A lot of undergrowth and shrubs were not kept under control and it was a kind of paradise for flashers and so on. “But they began a very long-term refurbishing of the park right after 1989. It took about 20 years. I was going to say – it seems very busy. Are there any bars or cafés or anything like that here? “Not in the park itself, no. It’s some sort of policy, I think. “So far they haven’t, which is kind of curious because of course orginally this kasino, this cultural centre, was a restaurant and a café. “I don’t know why they haven’t gone back to that. It may be possibly be because that building, and buildings that have been built subsequently beside it, are used for a different purpose. “In the communist years it was the Dům pionýrů, the Young Pioneers House, and they had all of these clubs for young kids. “One of my sons used to come to a beetle club. They collected beetles and put them on little pins and so on. “Now it’s called the Centre for Leisure Time Activities, or something. It may be because there’s a lot of young people around and so on that they decided they really don’t want a bar and a pub or whatever. Actually Don Sparling and I don’t have too far to go for refreshments, what’s more in a grand setting. 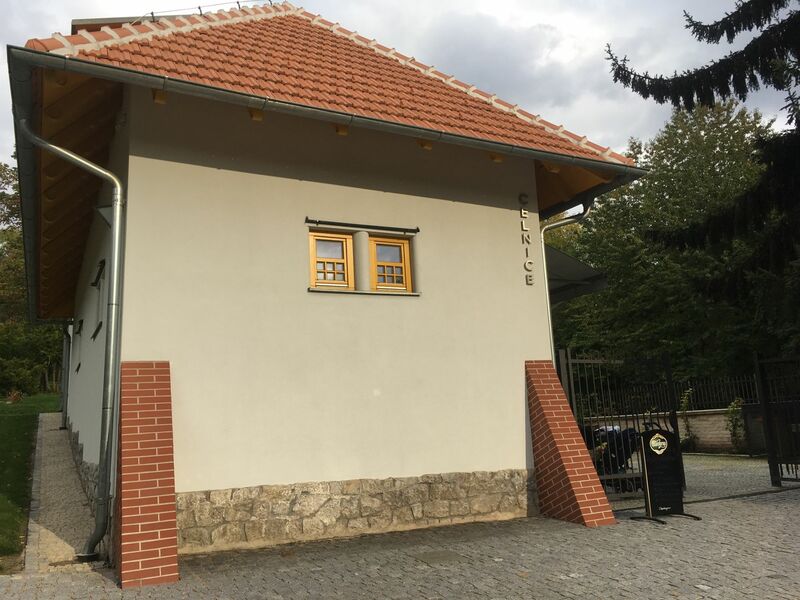 The Celnice café is located on one side of the sloping garden of the Löw-Beer Villa, by the southeast corner of Lužánky. As we grab a coffee there, our “guide” fills me in on the villa’s notable original owners. 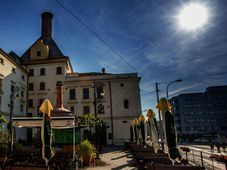 “Alfred Löw-Beer was one of the major textile factory owners in Brno at the beginning of the 20th century. Celnice cafe in the garden of the Löw-Beer Villa, photo: Ian Willoughby “But his daughter Greta married Fritz Tugendhat, and as a wedding gift he gave them the upper half of his garden. They got the upper half of this great long slope as a wedding gift. “And this is where they built the internationally world famous Villa Tugendhat. “It’s a lovely place to come to. I like coming here because it’s a beautiful garden to begin with. It’s got a lovely display of flowers below and this great, long stretch of grass. Well, you would never come here by chance. You’d have to know about it, I think. “Yes. It’s not a place you go by walking, or anything like this. “But once you do know about it, you, or I, tend to come back, simply because it’s such a beautiful place and it’s so quiet and so relaxing. We could see a bit of the Villa Tugendhat at the back here. I must say I’ve never actually been to the place because I’ve always been aware that you have to book way in advance to be able to get onto a tour. “This is the problem. They can only take something like 15 people an hour in the tour, so you really do have to book, six weeks to a couple of months in advance, depending on the time of year. “But I would say it’s worth it. I’ve been there many times actually. I was even there in the communist years. “But every time I go I’m amazed at what an extraordinarily structure it is, what a wonderful home it is. “And it’s very different from what you see in books and in illustrations, which make it look very kind of cold and formal. You were telling me on our way here that this area has a few great villas – and there are some plans to somehow join them, or something? 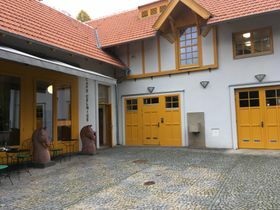 Courtyard of the Celnice cafe behind the Löw-Beer Villa, photo: Ian Willoughby “At the present time there’s the Löw-Beer Villa. Above it there’s the Tugendhat Villa. And then adjoining it there’s another great old villa. “In fact it’s one of the original villas, when this area was thought to be the future Knob Hill kind of thing. And they want to restore it as well. And as we’re in a café I have to ask you, what other cafés do you like in Brno? “You know, the café culture in Brno is so rich that anywhere you stand in Brno you’re within 100 metres of 10 or 15 cafés. “Because there are so many cafés, they’re very competitive. So it means that it’s hard to find a bad café in Brno. Maybe I’m a little bit of a Brno patriot, to say that. “But you can find cafés off all kinds. You can find cafés roasting beans in this way, you can find another café that’s like a typical Italian café, where you basically go in, stand up, take a shot of coffee and leave.